You'll find everything you need for a relaxing stay inside this well appointed, completely renovated home away from home. All new furnishings in a safe, Non-Smoking environment; luxurious linens & cozy beds will entice you to sleep; new fully equipped kitchen with quartz counters & high-end appliances. Enjoy the secluded patio with a bubbling water feature to help you unwind after a busy day. Free parking, high speed Internet, gas heat, air conditioning, & Smart TVs. Cozy loft desk area upstairs, situated just steps from 3 private bedrooms, 2 full baths and laundry. Access to fitness center, playground, swimming pool, spa, & parks just around the corner. Relax in this tranquil neighborhood, conveniently located between the Oregon coast and Mt. Hood for adventure seekers. Perfectly situated a quick ten minute drive to Intel, and less than 10 miles to Nike HQ, 20 minutes to Columbia HQ, 5 miles to Top Golf. Several wineries just minutes away! Easy access by MAX or car to the vibrant Portland downtown shopping, restaurants, culture, craft beers, theater, Oregon Zoo, Rose Festival, and the city's legendary Saturday Market! Immaculate property -- highest marks -- LOVED OUR STAY! This property exceeded all of our expectations! Nanci and John were attentive to all of our requests during our two month stay and we couldn't have been more pleased with the setting. 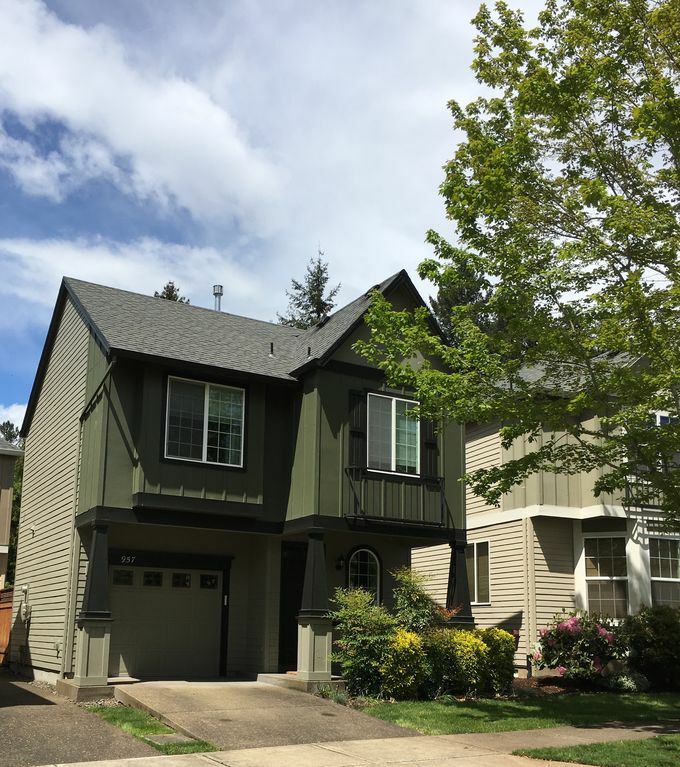 The renovated townhome is located near the end of a dead end street and the neighborhood was perfect for walking, the home close to any amenity desired, and situated within 90 minutes of the coast for a quick out and back day trip. We have booked our return stay for August of this year and can't wait to return! Great communication, very nice place to stay. We will definitely use again. Thank you! Lovely, very clean home. Convenient to U-Med district, shopping, library, and more. Owners were very responsive and clearly loved their property. Well-taken care of and well-stocked. Recently remodeled with very tasteful upgrades. Nice, safe well-maintained neighborhood with quiet neighbors. We highly recommend this house.